One of the most exciting jobs for a preschool teacher is to introduce reading to her young students. Chances are, children have been introduced to books and the rhythm of language at a very young age by their parents, but the skills needed to transform letters on a page into readable text often blossom during the preschool years. One way a teacher can help children understand the concept of reading is by introducing participation books for preschool circle time. During the preschool years, children begin to understand that the jumble of letters on a book’s page has meaning. They also begin to learn that letters have sounds, and combining letters together will form words. Groups of words form sentences, paragraphs, ideas and eventually, a whole book. This is a very exciting discovery for preschool students. To build on this budding knowledge, choose books that encourage class participation during large group reading time. Encourage children to read along with you, either by using books that have precise picture clues, rhyming text, repeating text or a familiar story that children have heard before. Green Eggs and Ham by Dr. Seuss – Many preschoolers have heard this story before, making class participation almost guaranteed. Encourage children to join in on the repeating lines “I do not like them, Sam I Am. I do not like green eggs and ham!” by pausing dramatically before these words are written in the book, and pointing the words when you and the children read them together. The Very Hungry Caterpillar by Eric Carle – Another familiar story book about a caterpillar who eats his way through several different foods before forming a chrysalis and later becoming a butterfly. Encourage children to read along with you while the caterpillar is eating through the fruits and vegetables, joining in on the repeating line “But he was still hungry”. Also, this book contains beautiful illustrations that can serve as picture clues. Encourage children to look at the pictures and guess what the words might say. For example, the page spread where the caterpillar eats nothing but sweets and junk food. Most children will be able to guess what the words say simply by looking at the order of the foods on that page spread. Quick as a Cricket by Audrey and Don Wood – This book also contains picture clues and rhyming text. With just one line per page, this book is an excellent choice for a read aloud that encourages a lot of participation. The text on each page follows the exact same pattern, making it very easy for children to join in with the reading. The illustrations on each page contain a boy showing an emotion as well as an animal. Children can join in on both the emotion word in the text, as well as the animal word simply by decoding the illustrations. For example, “I’m as sad as a basset, I’m as happy as a lark.” While reading this book, add another layer to the story by asking children to act out the emotions, such as nice, mean, happy and sad, using their faces. 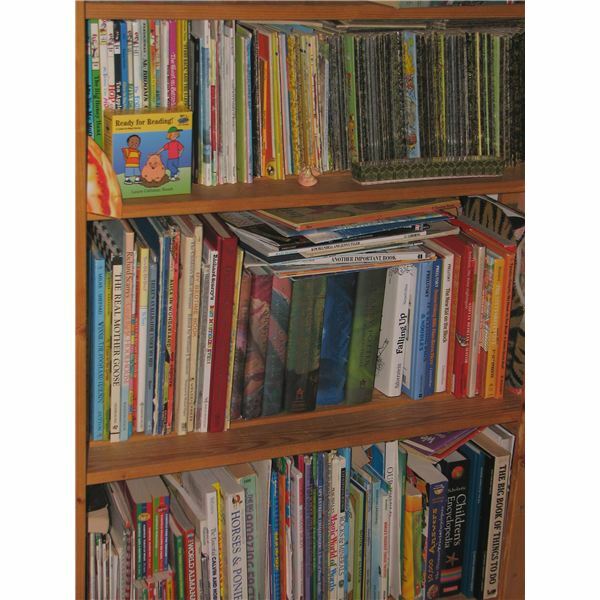 Many children’s picture books contain rhyming words, precise picture clues and repeating lines. Browse through the children’s section at your library and you will find several examples of each of these characteristics. Use the above examples to build your class library of stories that encourage children to join in reading!